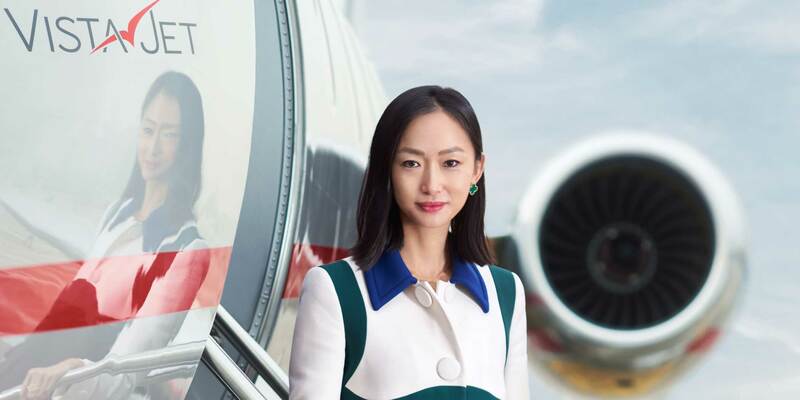 Leona Qi, president of US-Asia, VistaJet said the most popular regional VistaJet destinations are Hong Kong, Shanghai, Beijing, Singapore, and Kuala Lumpur. Global charter operator VistaJet saw its membership increase 31 percent last year, has been making inroads in Asia-Pacific from its regional base in Hong Kong, and expects to take delivery of a number of Global 7500s once a decision is made about which companies in its holding group the aircraft should be allocated to, a company official told AIN in the run-up to ABACE. “VistaJet entered the Asia-Pacific market in 2008,” said Leona Qi, president of US-Asia, VistaJet. She noted that in the Asia-Pacific region flights increased by 26 percent last year. “Our Asia headquarters are in Hong Kong, where we have over 20 people in the frontline office, doing sales and marketing, customer services, operations, and private dining,” she said. “Crew are stationed everywhere. In addition to the Hong Kong office, we have offices in London, New York, Dubai, and our operational HQ in Malta, where our MRO operations take place. She said the most popular regional destinations are Hong Kong, Shanghai, Beijing, Singapore, and Kuala Lumpur. “Around one-quarter of our customers are based in Asia-Pacific,” she said. “If you look at our fleet, it’s about even: we have 73 aircraft around the world including 36 Globals, and the rest are Challengers. The Globals fly over oceans, and the Challengers fly within the region. Qi expressed satisfaction that the issue of FBO expansion in the Asia-Pacific region was being addressed. “We use FBO facilities wherever they are available,” she said. “Locations such as Hong Kong, Macau, Shanghai, Beijing, Kuala Lumpur, and Singapore, where FBO facilities are available to cater for business jet users, have helped develop the business aviation industry in these cities tremendously. Malta is base for the company’s MRO, but Bombardier facilities are available. “While in Asia, we also work closely with Bombardier and use their MRO facilities around Asia when needed,” she said. As usual, VistaJet will have a presence at ABACE. “We have a Global 6000 on static display,” she said.